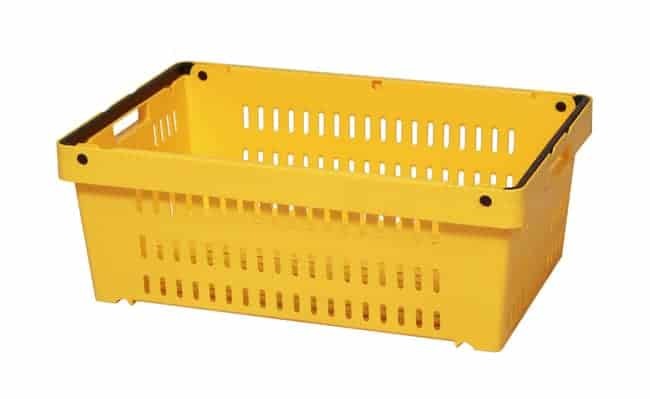 TranPak Inc. stocks a wide variety of handheld plastic crates and containers. All are in stock and ready for delivery from our headquarters in Fresno, CA or one of our distribution facilities in Salt Lake City, UT and St. Louis, MO. There are many factors to consider when choosing a handheld plastic crate or container. The different types of crates we offer enable you to correctly match the conditions necessary for your product during shipping or storage. For example, any product that needs proper storage may need to consider our attached lid containers. 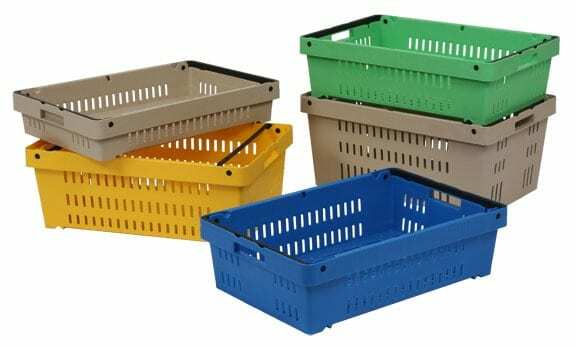 Products that need to be cooled will require ventilated crates. The dimensions of your product must also be considered in order to choose the most appropriate crate or container. The good news is that we will personally help you get the exact crate or container that you need. Please call (800) 827-2474 or email us and let TranPak make it easy.